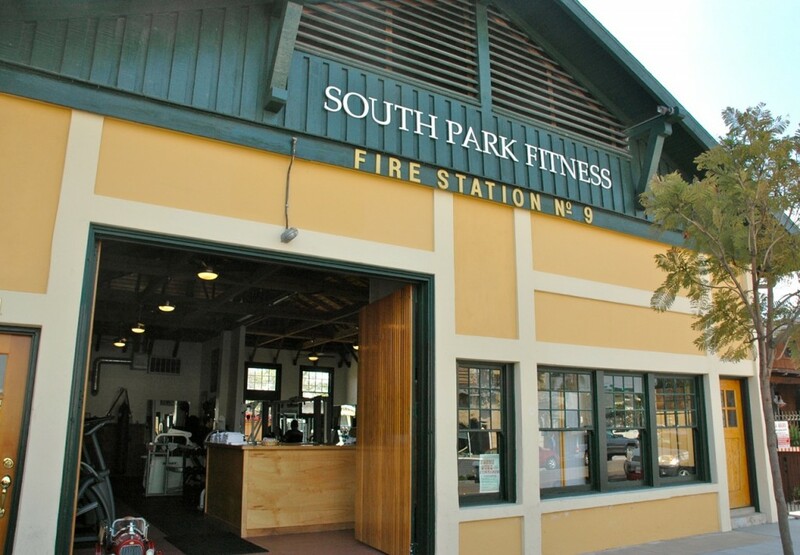 South Park Fitness is a gym unlike any other. It resides in “Fire Station No.9″, the oldest surviving fire station in San Diego. This 100 year old building has been completely renovated and is now one of the most unique gyms you’ll ever find. It has giant wooden double-doors where the fire engines used to enter. It has high vaulted ceilings with much of the original wood restored. The walls are covered in rock star paintings from a local artist giving the space incredible energy. The gym has top of the line equipment, a semi-private indoor studio for core and flexibility training, a heavy bag, and a big backyard for outdoor workouts. Our mission at South Park Fitness is to improve your life with health and fitness. Life just gets better with exercise and sound nutrition. You will increase your strength, endurance, and energy. Your flexibility, posture, and balance will improve. Your body composition will change and you will feel better, sleep better, and have more confidence. Our award winning personal training, recently voted as one of the best in San Diego, will help you to reach your goals quickly and safely.